Class Act ensemble rivals jewelry fashioned from real diamonds, emeralds and platinum. The rectangular pendant, as well as each earring, features a centered column of princess-cut loden green faux peridot gems encased in a frame of glittering clear CZs. 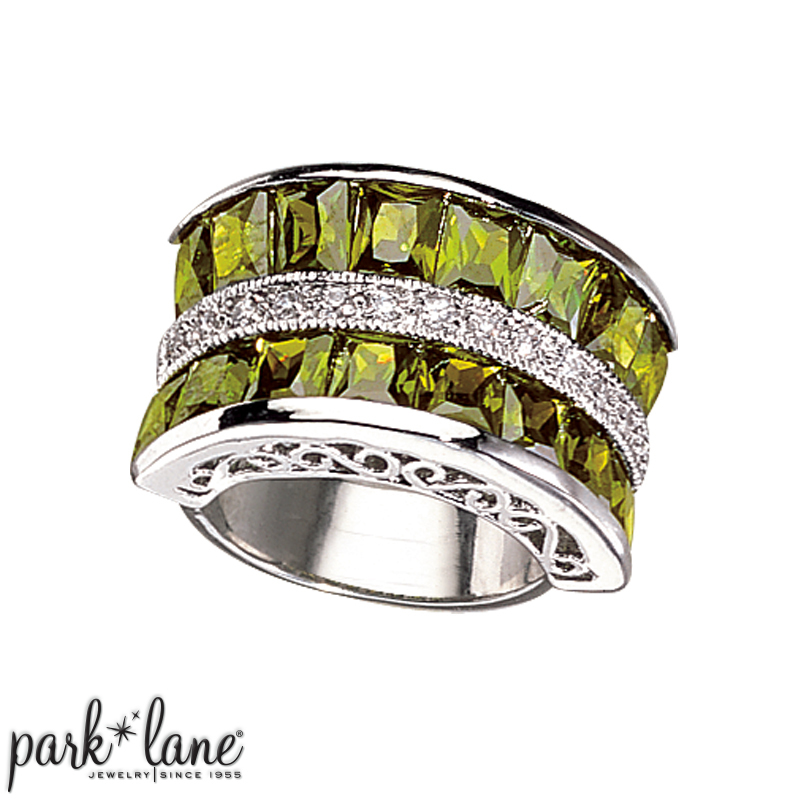 Rows of princess-cut green CZs, and micro-mini clear CZs, create the wide band of this magnificent arched ring. The incredible bracelets elaborate clasp adds even more glamour and prestige to this breathtaking ensemble; truly a Class Act thats a hard act to follow! Ring is available in sizes 6 to 10. Class Act ensemble is complemented by All That! bracelet and ring, Glamorous ring, Infinity bracelet, Follies ring, Spellbound ring, Primo bracelet and earrings, Incredible ring. Possible substitute earrings depending on the outfit: Reaction, Primo, or Stiletto earrings. Class Act bracelet and ring complement Outstanding ensemble. Class Act ring flatters ensembles: Glamorous, All That!, Facets, Gems, Outstanding and more.